First race of 2016...and the last, as i contracted a rare virus,that so far has had me of the bike since...and with no end in sight yet. A lot has happened since the last post, lots of racing...and lots of rain. We combined a race day at Volunteer park with Jett's Birthday party... weather wise it was a bit of a risk... but it worked, slightly cold but no rain. Kele upped the birthday cake design from last year, with an even more impressive cake. 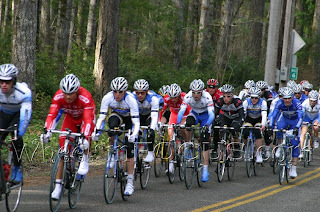 The race went ok, Kyle got in the break, and Andrew won the pack sprint... can't complain there. 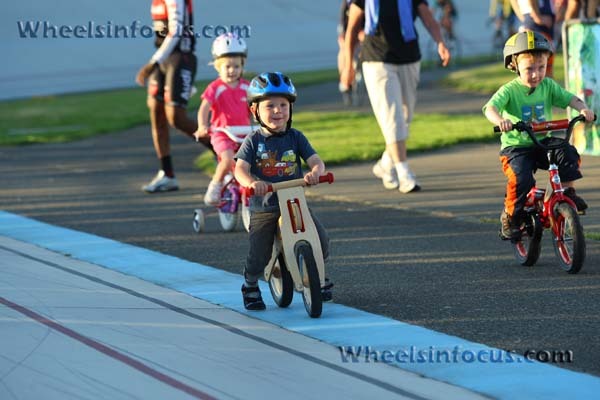 The following day i raced down in Olympia, doing the masters race, thinking i would get home earlier, Kele had lots of work to do and needed help. It was probably one of the wettest races I've even done, never stopped raining... i got lucky though and got in a two man break for the last 60 miles of so, with the only rider with a full rear fender...how good is that, either i was in the front, with no spray, or behind a fender, with no spray... so with that, and the fact we were working pretty hard i stayed relatively warm. However luck would not be on my side, mile four on a fast decent , after a 2 mile neural climb there was a crash at the front. Riders were going down on both sides of the road, i thought i was going to get though when suddenly two guys appeared laying on the road right in front of me. I hit them, doing a superman over them at 30mph, next i remember laying on the ground, trying to get as small as possible, to not get hit from behind. Crashing at 30mph, and all i did was rip my gloves, a few scrapes and bruises here and there. I hurt my left leg quite a bit, must have landed on something hard, as i hobbled across the road looking for my bike. It looked ok at from a distance, not like Collin's that was laying on the road in three separate pieces.. 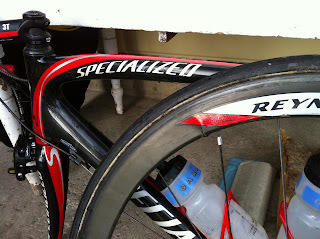 I need a new rear wheel though, as a spoke had ripped trough the carbon rim. It was only my second ride on it since I got it rebuilt...going to be expensive, but that's the risk you take racing. I finally get back on, the pack is well gone by now...and we still have 60 miles or so to go. At this point i realize i only have half a saddle, as it must have taken the brute of the impact, a bit uncomfortable, but doable. 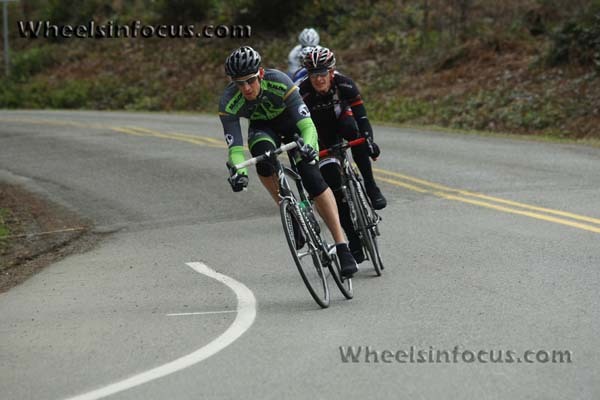 The main problem though was my left leg... it hurt so bad could hardly push at all on the pedals. After a few miles solo i got caught by a Audi rider, and we rode the following 3 1/2 laps together. He could have dropped me at any time, and did more then his share at the front. The rain started soon after, and we both got really cold... We kept going, deciding to finish the stage... and after a long 3 1/2 hours we rolled across the line, just missing the time cut by 7min or so. So that was the race for me, i would not be allowed to start the TT or crit the following day or the final road race on Sunday...not that i was sure i could with the pain i was having in my leg. I could have probably protested the time cut, and got back in, since it was due to a crash... but upon further inspection i noticed by bike frame had cracked in two places, but a good idea to ride on that. I still had a pretty good weekend though, hanging out wit the guys. It took about 1 1/2 for my leg to really feel better..
Masters State RR and senior state RR were back to back, Saturday and Sunday.. and we had great weather for both... I felt strong, especially on Saturday, got in a few moves, and attacked a bunch... in the end though, a few riders slipped of, and I was 2ond in a chasing group of four. early on, a bridging up to Nikos of the front. Sunday was 91 miles... a long race..wasn't feeling as good, but was more concerned with the energy level at the end of a race like this, as the finish was atop on the 1 mile climb. We got a guy in the break early, so all i had to do was jump on y move of the front and sit on, a lot better then having to bridge up there. On the 7th and final lap, the break slip, and our rider came back. At this point it was too late to try and bring it back or get up there, so it was now a pack sprint for 3ed. I ended up 13th for the day, not bad, but not anticipating the sprint quite good enough and missed out on the final acceleration to the line. I few years ago i was 4th in this race, just missing a medal, but that was back when i was training a lot more and was considerably stronger... so this result was quite ok.
To finally be racing doesn't really mean that winter training is over, but it nearly feels like it. Finally all those long rids in the cold, rain and dark have a meaning to them... even if it only means you are in the pack. It's always bit of a shock to the body, it really hasn't gone this hard in months...the speed and surges are just so different then training, or even a group ride. But there is something about the speed that is exhilarating, I'm just happy the first few races are on pretty flat roads. This year i haven't done any high intensity before the first few races, I usually get a few weeks worth in February...but this years schedule has delayed my training plan slightly... might be good for the later races in April/May.. which is usually when my favorite stuff is anyway. The TT on Saturday was pretty painful...I started a bit too hard...and was just a bit too excited i think, and i couldn't make myself throttle off until on the way back from the turnaround at 5 miles...was pretty much forced to by my body, not my brain at this point. Although I felt fast, i was slower than last year, and actually slower then anything going back to 2004!! !....I would guess that the fact that i haven't done any intensity plays a role there. Power average on the way out was 345W(355 for the first 5min) and for the entire ride 327W... so there was a considerably drop of. I attacked a few times, tried to created something...but it wouldn't stick. At the start of lap 5 after about 50miles a group finally got of,Kyle was in it and so where most of the other teams...so the gap grew quick. The only teams missing out where the Oregon ones, but they never really got a chase going...so that was that. There was 8 guys away, and we were then sprinting for 9th, i debated if it was worth the risk...but decided after a late attack didn't work that the practice would be worth it. The HB guys were trying to set Owen up for the sprint, but got a bit excited and and just about all crossed the yellow line moving up with a few miles to go. The next few miles were the normal shoulder to shoulder high stress anticipation riding before a sprint. The last corner was a bit hairy, as there was sand in the lane and we were coming in fast...I got taken wide, but got back on a wheel...so that wasn't too bad. The sprint proper started right before 200m , and being a bit too far back there was quite a bit of traffic as few front guys sat up. I narrowly avoided running into a few guys and had to brake and swerve s few times losing valuable momentum...I should have just stayed to the far right and I would have been good... 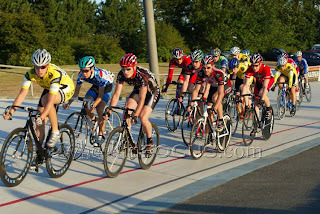 I had about 3 guys come past at 50m, and ended up 8th in the pack sprint, 16th overall. Kyle was 5th, Hitch was second in the sprint for 10th...and then we had me and one other garage rider in the top 20. Felt good to race again, and I was happy how I felt, just not with the last effort, but that's why i keep trying. James from KR won the race...which was nice, nearly expected but still very hard to pull of... good to see someone who has been working so hard be rewarded for it. First race of the year got canceled because of snow. There wasn't that much of it, nut enough to make it a dangerous, and nobody likes to get hurt the first week......although someone manged to anyway. Work had been real busy that week, I'd not manged to get much riding in except a few short rides on the trainer...it was a forced rest week.... although I didn't especially feel very rested...all that work stress and late nights don't really help you recover. This is probably the biggest difference between us "hobby" cyclists and those who manage to take it a bit more serious. The few local cyclist who train full time, or have reduced work obligations have a distinct advantage. Having the opportunity to train as much as you want it great, and will result in great improvements, but the ones who also can spent the rest of the time "resting", from work, stress, family obligations etc have another level of performance benefit that can't be underestimated. Local racing usually isn't that hard or long, so we can for the most part get away with it... and thankfully we don't have to compete in the NRC stage races they training for...so it works out ok for the most part. Now there aren't many of us who wouldn't like the same opportunity, but usually at this point in our life it would be hard to do anyway, unless winning the lottery. 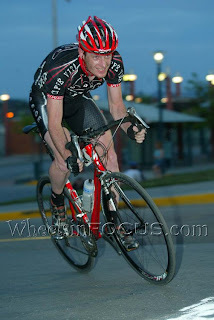 I spent my 20's going to college and racing Crew, and honestly at that point I would probably focused on that sport, which i was actually better at... Not until graduation did i start biking, and by then it was just about practically too late. The 2011 race season is about to start. The big difference this year as compared to others is the amount of training I have done... Although I do feel like it has been going pretty good, the hours are down quite a bit... but that is expected with the busy schedule at work, and a toddler at home. We just had out "team" camp last weekend. This year we stayed in Pt Townsend.. it was actually a nice change, maybe the weather had something to do with that. I was just about the only sunny dry weekend we have had all winter, we got lucky there....a bit cold and windy... but that beats rain any time. Although we do this just about every Thursday all Summer, this was a bit different. There was more competition, and actually a bit less aggressive with "more" on the line... although the last few laps were definitely a bit more hectic. Here i was off the front for a few laps with Galen, I kind of sucker punched him for a preem a bit later...oh well...i did what i had to.. I managed to eek out a 10th, which on a Thursday isn't much, but today, some good series points. If I just could have held on to the three spots i lost during the last 50ft to the line, as my negative sprint as I like to call it was in full effect. I'm still hanging on to 8th overall... but the guys behind are getting closer. 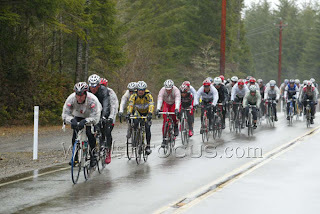 What happend to the nice weather summer crits?.. 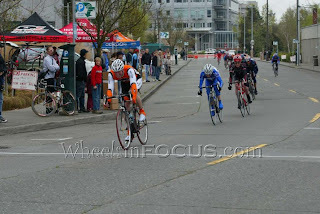 This was only my third "real" crit this year, and they have all been in the rain... at least I'm getting better at it. It hurts a lot more then what it looks like. Race season has started again. March is already over, and while I have raced slightly less then normal, I have managed to squeeze in five road races and a TT so far. It’s been a bit more of a juggle to be able train, and not to mention race this season for obvious reasons. I’m not sure if it’s always been like this, but this year of all the races Kele and I could do, 1-2, master A, or women 1-2 and men cat3, have all been in the afternoon, requiring either a babysitter or some one of us not racing. The racing it self has been a bit mixed… the weather has been better then most years, but the personal results have been largely missing. I try and not judge my success by results only, but it is sure nice if they come. I had some kind of stomach flue one week, and a lingering cold that could explain it a bit. Overall though I have been pretty strong.. but still not quite up where I’m used to. My longest rides this year have all been races, so it’s no surprise I start to run out of that little bit extra that is required at the end of the longer races. I have never been a great sprinter my any means, but at the end of a long hard road race I usually could do pretty well, either in a late break or in a sprint…. 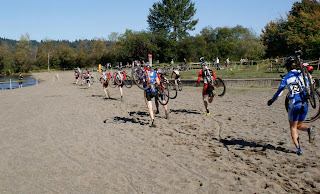 The two Mason Lake races I did where nice and dry, a bit cold maybe, but shouldn’t complain. The team did ok, a few too many guys said they didn’t feel so good and were positioned way too far back to be of any use. It basically left three of us up front trying to get in moves and cover attacks. After jumping on the first attack by the new Killer-Robots team, I was is the first break of the season… but being as there was only two of us and we had barley ridden 4 miles, it wasn’t really going anywhere. Hitch Jumped on a bridging move that blew right by us… and that was that.. the break of the day. Chad and Kyle got away with about 4miles to go…and it looked like it was going to work… they got caught within the 1k sign..
With about 2k to go, I’m on a good wheel, right on the centerline as a rider comes up on my left, trying to take my spot. I was a bit shocked honestly, I wasn’t about to give up the wheel, but what am I going to do, I don’t want to bump anybody across the centerline, and maybe into oncoming traffic…really… this is you plan…however not soon after that there was a surge on the right I got a different wheel going forward. I tried to go for the sprint, an ambulance right before the last corner moved the pack across the center line, and I lost a lot of places as riders took the opportunity to move up on the left side. 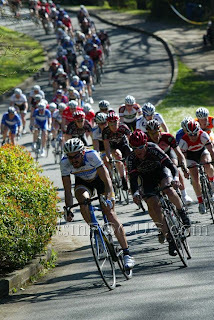 The sprint started early, and with about 100m to go I was really hurting. Finally crossed the line after being passed by a half dozen or so right at the end. I was a bit to far back coming around the corner, reacted a bit late, and usually I can make up ground in a long sprint, but not today. I didn’t have it…oh well I tried. At Mason Lake the following week I had been sick a stomach bug and hadn’t eaten solid food for 3 days, until Friday morning. I was a bit weary of how long I would last, but at least my legs felt rested and I was down a few pounds. I got in a small move halfway though the first lap, but I could tell I didn’t have the power to stay in this for another 60miles…so I’d have to plan this one careful…but I didn’t have to worry about it much since we were absorbed back in the bunch pretty fast. Our team missed the main move of the day, but at least we spent a lot of time chasing, keeping it relatively close. Some other teams who has missed the move either helped out a bit, before they decided it was too much work just ½ lap later, or simply didn’t help at all. Ok, so maybe you thought you wouldn’t have anybody else left after chasing, and therefore was a bad idea. I was a bit annoyed, the same teams are all over us to chase when we miss the move and they are in it. You had at least 5-6 rides…couldn’t spare a few?.. good tactics or not, sometimes it’s just the right thing to do…. I actually backed out of the pack sprint for this one. With about 5miles to go I drifted back and tried to stay out of trouble. I figured that maybe I could get up there in a good position, but after being sick and chasing all day, I would probably look like an anchor in the sprint and cause more harm then good. I was surprisingly hard for me to do, I can probably could on one hand how many times I’ve intentionally done something like this, and I’m not sure why it stings so bad every time I “give up” before the line. 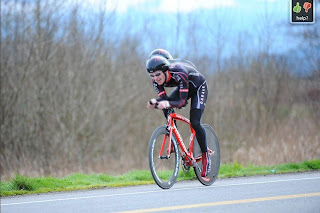 My first race of 2010 was a TT. It's been since July 2008 since I did a TT. 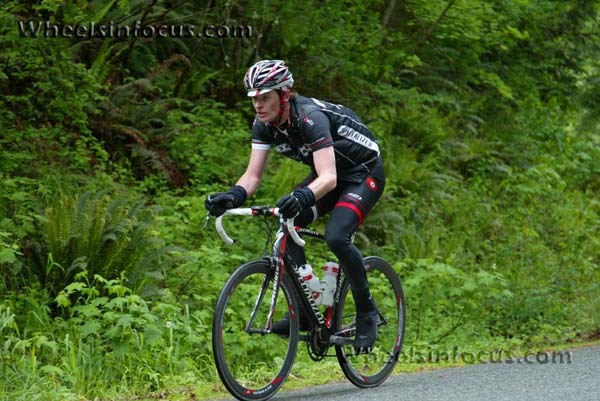 Last year with a baby(limiting stage races) and a broken elbow, they somehow did not happen. I also got a new TT bike this year, and hopefully it will last for a while unless it suddenly becomes illegal. 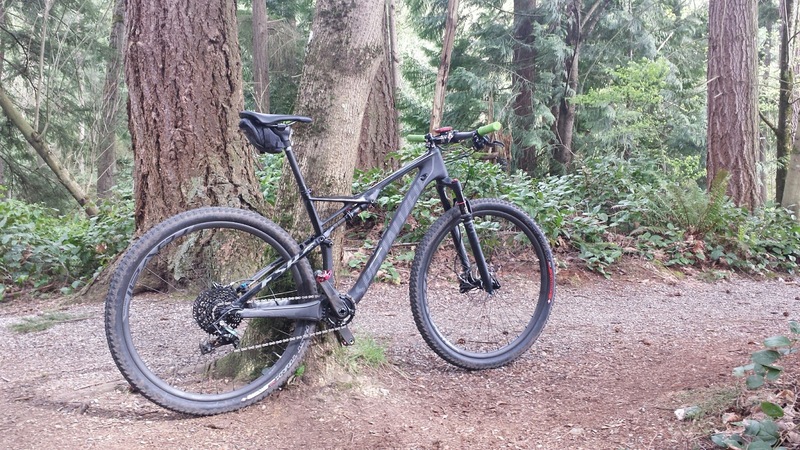 Having to sell my old frame before i got the new, as well as putting it together meant that i didn't get it built until late the night before, and even then i had to adjust the brakes the morning of. 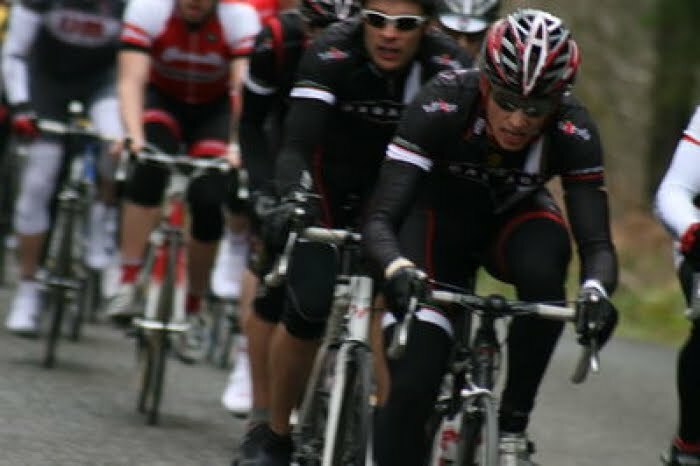 My first ride on the bike ever, was on the trainer warming up for the event. I even just eyeballed the seat position... not the best thing to do. 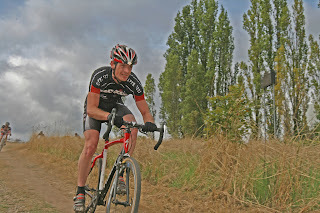 Happily though nothing went wrong with the bike during the race. I had no speed or power and went just on feel. 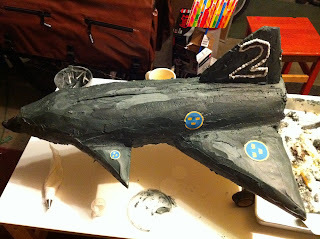 I was pretty happy with my effort, and nothing really hurt that much that shouldn't. My time wasn't the best, not due to lack of power I think but more aerodynamics. I sit a bit too high and my arms are to far apart. Fun course, but it was harder then it looked. 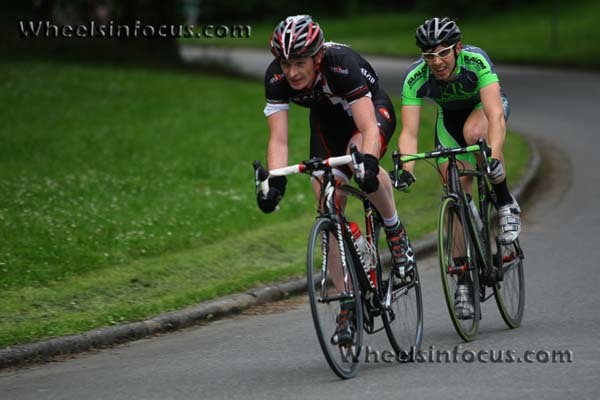 I managed to hit my knee on lap one...made it though the race fine. It's still sore 5days later, but I have a week before next race to recover from the knee and the flue i got Sunday night. No kidding... and i think we did like 10laps.. I was actually making up ground on each run..so that was good... but it took another 1/4 lap to recover from it. Race season was going pretty good up to this point. Mid April my form was down a bit, had a slight cold...and reduced time for training. The last few weeks were looking good, I was getting stronger again and more focused on my training.... had some bad luck in races with flat tires and getting run into a ditch...but my legs were getting better and better... you can't just rely on racing results to validate your performances. Then this happens, just riding the trail. I went down, fractured my elbow. 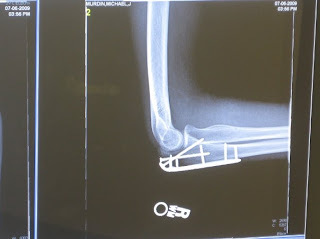 And now need surgery to screw it all together again. Eight weeks in a cast(non weight bearing)...... sweet! What hurts more then the injury is the fact that the weather is so great, and the racing I will miss. Now though I get to spend more time with Kele and Jett, although in Kele's words " I'm even more useless now"
And I thought it might be a bit wet, but at least it would be warmer then a few weeks ago at Mason lake. As We got closer and closer to the race, the colder it got and by the time we pulled into the parking lot the thermometer said 36’F and there was a rain snow mix coming down. All winter I don’t think I’ve ridden in such bad whether, and then I would have had fenders, and for sure extra gloves with me, I wouldn’t have been out there for four hours. I had two layers of plastic bags over my feet, a serious rain coat and 3 layers of gloves.. and it still didn’t stop my feet and hands from becoming solid blocks. After only a few miles we climbed for the first time. The good news was that by the top I was nice and warm, but the bad news was that I had worse legs then in months… maybe it was the last few weeks of hard riding catching up with me, or maybe it was the weather. I can only remember a few times when I’ve felt that bad in a race… and now when I think about it, it’s about around this time of year. Anyway, sometimes you fell bad at the start just to turn around and fell great later on, and the only way to find out was keep going. The first climb was a lot harder then it should have been, well at least I was warm. First lap was no problem. After the descent of the 2nd climb, a few guys took of. I expected more people to chase, and when nobody did; I tried a bit by going to the front and pick the pace up. This is where I quickly realized my legs didn’t just hurt on the climbs… the flats weren’t so good either. 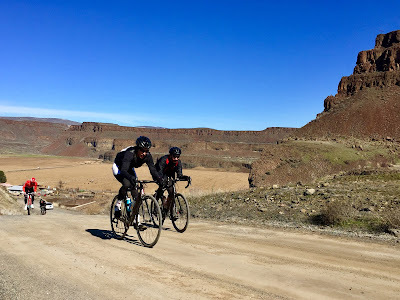 The reason we all got so cold was that there wasn’t much chasing, once the second chase group got of the front, pretty much all of the big teams had riders up there…so we rode around way too slow for our own good(until the climb that is). Two dry days in a row… not bad for March, and it even happened on the weekend. Saturday was the third Mason Lake. It was good to see a big field, and just about every team was there. I was happy that my legs felt so much better then the preceding days. I was ready to get going. The race started fast and stayed that way. I think everyone was just so happy to finally be racing in sun and on dry roads, that the last thing they wanted was let something of the front, basically, ending their race. It wasn’t for the lack of trying though; there were attacks the entire race. I tried multiple times myself, every lap. ¾ through the race I could tell that a lot of people had come to the conclusion that nothing was going to stick. This is a very dangerous line of thought, because I knew if this happened, people would relax, a bit too much, and before you know it something would just slip of the front, with nobody willing to chase. That’s exactly what happened, On lap 5 (of 6) three riders just rode off, and before you know it had a big gap. Chase groups would go, but by now everyone was attentive again, and these all go pulled back pretty quick. Lucky for us, we had a rider up there. But many of the big teams did not, but still nothing got organized. The pack sprint for 4th, was ramping up a long way out. Since no team really decided to lead it out, it got a bit dangerous and hectic to say the least. I struggled to stay far enough up front, to be out of trouble, and had to constantly try and find gaps and wheels to get on. I felt confident I could do pretty good in the sprint, especially if it started early and went long. I don’t have the best acceleration, but I can hold it a bit longer then most. I was in pretty good position with a mile to go. With 1k was moving up ok, maybe a bit too far back, but I wasn’t panicking yet. By Sequim on Sunday, I could tell I had a hard race in my legs already that weekend. I did ok, but I felt slightly off and not quite as fresh as I needed to be. 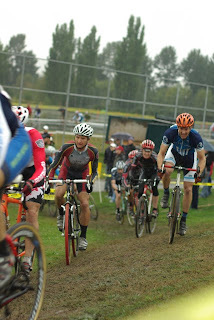 I wasted a lot of energy early by helping with the chase of the main break that got away early on lap one. After it came back (minus Stanko) I tried to make sure at least I or Kyle was in all the moves. Finally with 1 ½ lap to go Kyle gets of the front in a small move that sticks, and he takes a well deserved 2nd in the sprint. With about 2 miles to go I do a last desperate attack to try and get of the front on the last hill. I get a small gap, but I have a HB rider on my wheel. I keep going for a bit and look back, he is still there, and HB has 8guys pulling the pack along. It was a long shoot as it was, and unless the rider with me starts working, and HB shuts down the chase I doomed for sure. I was kind of hoping for a disorganized pack, with no one wanting to chase, that was my only real hope. 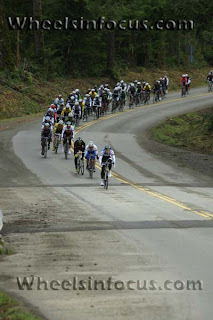 I’m not that strong, and I’m not close enough to the finish, so I decide so sit up and go for the pack sprint instead. That was a wet and cold race….. So cold that I decided to pull out after lap three, I could no longer feel my fingers. I couldn't get any food out of my pockets or even grab my water bottle. I can count on one hand how many times I’ve pulled out of a race mid way trough, so it was not an easy decision. The only other times I’ve voluntarily pulled out of a race was due to injury or in one case during criterium in an omnium, where with 10min to go I was at the back, really suffering and there was no way I could make it to the front. Even in the conditions on Saturday, I had a hard time making that decision. I gave myself one way to not quit, if I was in a break with a chance for a high placing. There I was, riding down the tail, minding my own business, and out of nowhere this tree jumped at me. 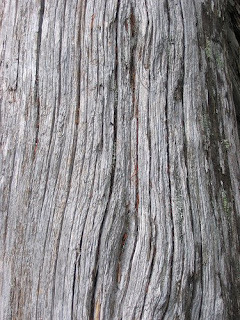 The tree didn’t so much jump at me, more like actually just stood there, not moving at all… but it’s all relative. The race had originally been scheduled for a much different course, with much less trees, and definitely less aggressive ones at that. Well here I was, on the first lap mind you giving this perfectly healthy tree a perfect tackle, I guess should have known, that I didn’t really have a chance, me against the tree, there was no other outcome, then me being on the short end of the stick. It all happened during the first lap of the 3ed race of the Seattle cross series on Sunday. We all know the first lap is a bit hectic to say the least. On a right hand corner my front tire slipped for just a split second, changing my path just enough, sending me into the corner tighter then I wanted. There it was, and there was no avoiding it… damm!! my right collar bone took the hit, sending me cart wheeling into the bushes. I got up, checked my bike, shoulder hurt bad, waited until the trail was clear and got back on my bike. Racing down the trail again I was slightly upset to why I had waited so long to get going, the racer in me was more angry about lossing time then beeing hurt. 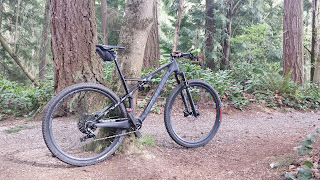 I came to a section that required me to pull on the handlebar, and I was quickly reminded of the encounter with the tree. I still keep going, but finally came to my senses as I plowed through the deep sand, pushing the heavy gear and trying maintainin my momentum, it hurt like the...... By the end of the sand pit I came to a slow stop and got off the bike, the race was over for today. As I walked my bike down to the infield the shoulder pain was intensifying, and I knew I had made the right decision. Now I instead started worrying about having broken or torn something. This is not at all a good plan for the rest of the cross season. After slowly loading the car I drove the emergency room. X-rays and the doctor confirmed that I hadn’t broken anything but had suffered a separated shoulder. I hadn’t completely torn my ligaments so that’s good… but it will definitely take a while to heal, It just hurts and even minor things are hard to do. 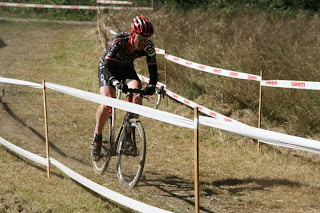 If it wasn’t cross, maybe I could be back racing in a few weeks… cross though is a bit tough on the shoulder with all the bumps and jarring, not to mention lifting the bike over barriers and shouldering the bike for the Knapp run-up… yeah… don’t think so. 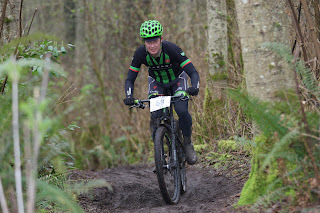 I now have a great opertunity to practise doing everything with my left hand..
For the First race of the Seattle series, the weather could not have been better. After last weeks rain and mud, we now had to deal with dry grass and sandy corners. After a pretty good start, I once again had a misshap, from where i spent the entire race trying to recover from. On the first 180 turn of the race, we all quickly slowed to a crawl, what I didn't notice at the time, was that when the rider from behind ran into me, they actually ran into my skewer, partially opening it. A lap later my rear wheel came to a screeching halt as the wheel came out. Why i had closed it with the lever pointing backwards I don't know?... another thing to think about for cross. I really didn't loose to much time, it was more the fact that I got passed by just about the entire field, as I figured out what was wrong, and got my wheel back in. I spent a lot of time getting stuck behind and trying to get around riders. The longer the race went, the faster I making up spots... road season fitness is helping a bit. I eked out a top 10, so i am happy with that... one of these days it will all work out. Cyclocross season just started again... why didn't anybody remind me how painful it is?? First Star-crossed in Redmond on Saturday..
After only racing on the track, twice the last few summers, this year I managed three...and was promptly upgraded, to a cat 3. So last Friday Kele and I both showed up to race. There where enough riders there for two heats, and they split us up, so we wouldn't cooperate... and I who needed some help……..
Track you would think would be simple, since there is only one gear... but not quite so... now you have to spend all this time deciding what gear to run, depending on the race, other riders tactics, and ones own strengths. No matter what you do, you are invariably going to have the wrong gear, for at least part of the race. First race I picked a slightly bigger gear then I was used to… turned out it was ok at speed, but accelerating was a bit harder, and my legs were just about shoot after that. Second race I went smaller to a 49x15… pretty small, but now I was better of with the small accelerations… but just could not go fast enough during the sprint for the line. (All in all though, I think a better gear for me)..
For the third race I should have gone up again. The race would be a lot more consistent in speed, no intermediate sprints or funny stuff…I ended up of the front a few times… and the high cadence I had to keep with that gear just wore me down… and I was caught. During the final sprint to the line I was feeling good, on a great wheel and between corner 3 and 4 I was flying over the top of the pack to the front. As we are about to exit the corner a rider pulls up, the rider on my inside who I’m passing reacts my going up, then the rookie as I am, I over react even more and even “stop” pedaling for a split second… I promptly settle down, but have now lost my wheel and inertia, so I back of and pull out of the sprint… what a rookie mistake… The riders wheel I was on ends up winning the sprint, I would like to think I would have been right up there, and not back practically coasting across the line. Well I’m a rookie on the track, I didn’t go down… I will learn..
and I did win $10 in my second race… more then enough for a Blizzard, so really not a bad night after all. 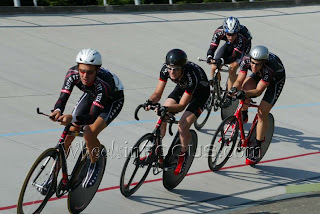 This weekend I did my first team pursuit at the FSA challenge race at Marymoore. It was also probably my shortest race ever, less then 5 min. Considering that this was new to all of us, with only a few training sessions, never done more then 2 1/2 laps at full effort prior to this, it went pretty good. I think all of us agreed that we could improve our time considerably. 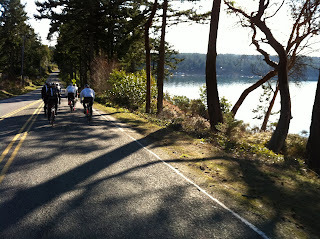 We rode pretty conservatively, not quite knowing how to pace it... I think we all finished with plenty left in the tank. but I'm paying for it now.. 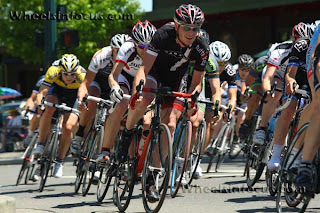 I felt great all weekend, and even managed to take the crowd preem of $100+ in the crit.. I shared it with Brian V from Carter though, as we were working together good, trying to hold of the pack for the finish. We didn't quite make it. It was a good effort though. Off to the 3ed “W” stage race of the year. 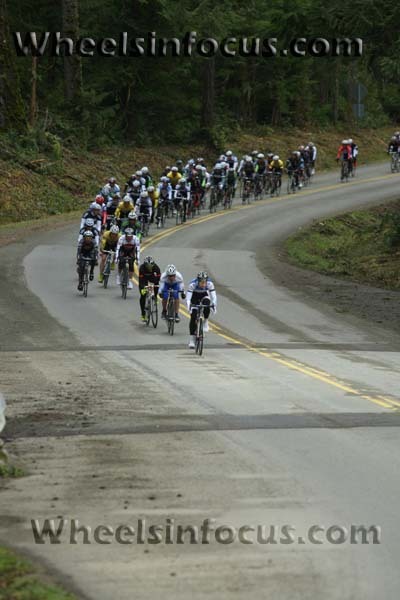 Second was the State Stage race in Wenatchee and the third will be this weekend in Winthrop.. The first two did not go so well. Walla Walla had a very big field with some very strong riders. Wind was a factor as well. For the first time in a while a was more then happy to just hang on, and that was hard enough. I’ve like so many others, have been fighting colds and sickness all spring. I was, and am still trying to get over and recover from a virus. 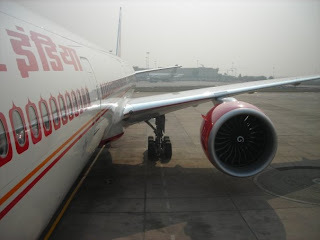 I could have picked it up on my India trip in late December, or maybe just as likely the Starbucks at JFK during my return trip,,, The virus has been leaving me weak and tried. 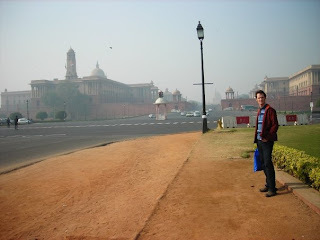 I was having problem with my digestion system, I was not able to absorb enough nutrients… finally though after numerous tests and doctor visits, I am now on a daily viral suppressive medicine…and the last few weeks I have been feeling a lot better. I still have a hard time recovering from efforts, and the trick now is to make sure I don’t overdue it and make sure I get enough rest. Better being over rested then over trained anytime. Anyway Wenatchee was hot and windy. The Crit was harder then I liked. Muscle weakness and repeated high intensity efforts in a crit is not a good mix. The long climb in the road race was very hot. Even before the second time over I was dead. Just pushing the pedals down at all was just barley possible. I don’t think I could have climbed any slower. One advantage with having a power meter on my bike is that I can quantify a big part of the symptoms. My power is down 5% across the board, from sprint to TT efforts. 5% does not seem like a lot… but I can assure you that it is quite noticeable. 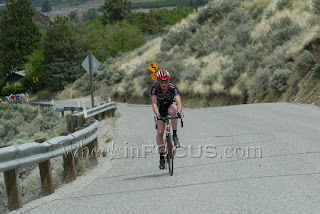 So now I’m getting ready for the third W, the Methow Valley Stage race in Wintrop. Hopefully can do a bit better this time. How nice was the 80’s on Saturday?.. After have been suffering from some kind of post sickness fatigue the last week or so, I finally began to feel a lot better on Friday. Since the race on Saturday was only a 14 mile ride from home, and with a start time at early afternoon, it meant a possibility to catch up on some sleep, have a relaxing morning and then leisurely cruising over to Volunteer Park, doesn’t get much better then that..
And did I mention it was 80’… only my 3ed ride with out leg warmers all year, (the 2nd was on a short lunch ride Friday). Dalai Lama is in town all week, and with a Baseball game also going on, it was nice being able to park the car for the entire weekend, avoiding all traffic. I haven’t done this race since 2004. 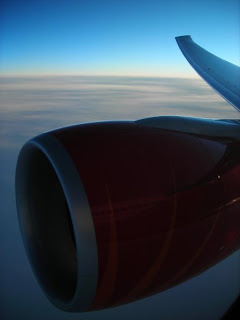 I think it was cancelled last year, and the other years it was later in the summer when I was usually gone in England for wind tunnel testing. One big round loop, It’s just like Seward Park, but twice as big. Flat section by the Start/ finish, long fast downhill followed by an uphill that you can coast up halfway (especially in the slip stream of the pack) before a sharp right turn into the last 200m. This is always easier then a flat multi corner course, where you have no downhill to ‘recover”. On the other hand, a solo move is definitely harder, you have to work up and down to maintain your lead. The race it went ok. You could tell that it was the first crit of the year for a lot of people, both by the feeling I got in the corners, and the fatigue you could see set in after a few laps. I tried a move or two, bridged up to a short lasting two man break ½ though.. but nothing would stay away. Well, Clayville did have about a 12 sec lead the last 10 laps, only to get caught at 200m. With 1lap to go I was a bit too far back, and going around the tower, I managed to loose a few more spots… I definitely wasn’t “aggressive enough”.. coming around the last corner I started to sprint, and once I realized I wasn’t gaining much on anybody, I rolled across in 14th .. Teufel was up there and took 6th I think. After the race I had nice ride home in the gorgeous weather… if it would only last, but rain and cold was forecasted for Sunday. 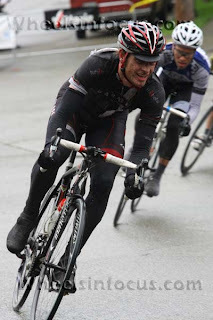 I decided to do the early race Sunday, trying to avoid the rain that was surly on its way. When I showed up I was surprised by the small fields in all the races. Tom, Alex and I lined up for the A race. I could definitely feel some fatigue from Saturday, and I noticed that I didn’t have much of any acceleration coming out of the corners, or trying to get of the front. Tom and Alex did a good job covering, or making sure no move got of the front. 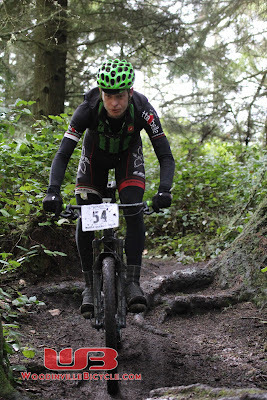 Halfway though, the rain came, but all throughout race it never really got worse then a light mist. With 2 1/2 laps to go, I got seriously cut of in corner two, I had to slam on my brakes, lift my right foot to avoiding the curb and lost 20 spots. Now I didn’t have much time to get back up front. Going up the back side on the last lap I had managed to get back up to 5th, but when the three front riders surged and opened up a gap ahead of the 4th placed rider, I was too fatigued to respond right away…. And that was that. 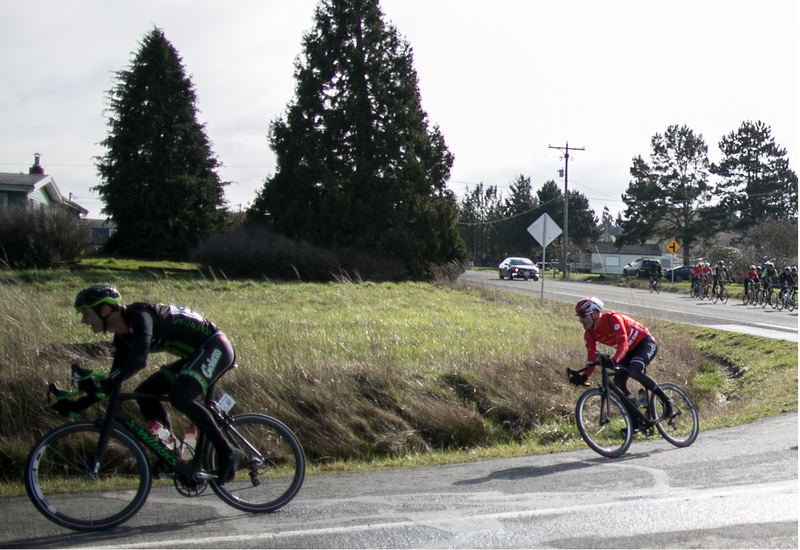 I came around the last corner 5th, and then got passed by Erik Anderson, before the line as he sprinted by me …. Oh well, It could have been worse... Alex was right behind me somewhere in the last corner, but was taken wide and came out of his pedal, luckily he didn’t go down, but it didn’t help his finishing order for sure. Now it started raining, and I decided to skip the last race and ride home before I got too wet and cold, especially as I had forgot to bring my legwarmers and raincoat. By the time I got home it was raining pretty hard, and I was happy with my decision, but there was still a part of me that wanted to race. Ok, at some point I will have to mention that we raced in miserable rain, and I was wet and cold, but not yet…. Saturday the Sun was out once again, it was slightly cold, still a bit too cold for bare legs, but it was a close call. Second time up was probably just as fast, but ok. On the back side Kevin and I helped with the chase so did Joe Holmes, but that was it (Carter had already spent most of there guys)… what was the point…. We quickly realized that this was futile….Kevin attacked and went away solo. Campbell tried to bridge but never made it up there. By the top of the second climb Kevin came back. Next time up the main hill was going to be decisive, we all knew it. I attacked and countered to many moves, and spent too much energy to try and get in a small group before the climb, nothing stayed for very long. Then as I momentarily drifted back to the 3ed row, Strangelove and someone gets of the front, and then Hone and Ian attack at the same time and are also “let go”. These four get a gap before anything else happens, just enough it turns out. Another split rolls of, but this one is chased down right before the corner. Then less than a mile before the hill Ian gets of again, but gets caught ¼ way up, got to be the worst place. The surge happens right at the bottom, Doug, Omer all come flying around on my left. I try and surge but after all the attacking my legs are toast…halfway up I finally start to close in on a group of riders right in front, but I needed to stand and surge a lot more to catch the main group…5 sec late at the top, is just too much, that was that. This was one of those moments you have to realize, when it happens, that the race is over unless you do something now. Put away all thoughts of pain and simply shift, stand, and do what ever you have to do, to catch back up. You have to be willing to suffer more then you ever have, ignore the logic and thoughts of being in control… this is the race, and if you want to be a part of it.. go. I didn’t realize this, until it was too late, maybe it was denial, or maybe I was just too preoccupied with the pain right now, and not the race at hand. The small break with Hone and Strangelove got absorbed on the way up, but made it over the top. The race was now for 15th.. and some good training I guess. Shawn missed the split, not sure how, but was now trying to pull us all back. An hour later we sprinted in for 15th, Campbell taking the Sprint. 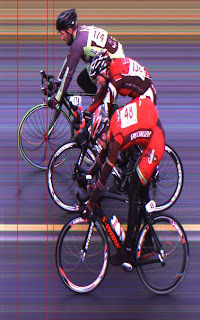 I had a go at it but, somehow found myself squeezed across the yellow line with 300m to go and sprinted from the back, with what it felt like two flat tires..
Total riding time actually drops quite a lot for me during racing season, and time in the car goes up accordingly. Saturday rides from the front door are numbered for a while. Stops at Pert’s after the ride, for a cup of coffee and lunch are going to suffer. Well, at least I now have good reason to stop for a DQ blizzard on the drive home. The second Mason Lake was a bit more intense then the first week, a lot of teams showed up with full teams. The pace was always high, and I personally did a lot of work for the team, bringing back breaks. The final rider was caught at 1km, and we were barreling down for a pack sprint. 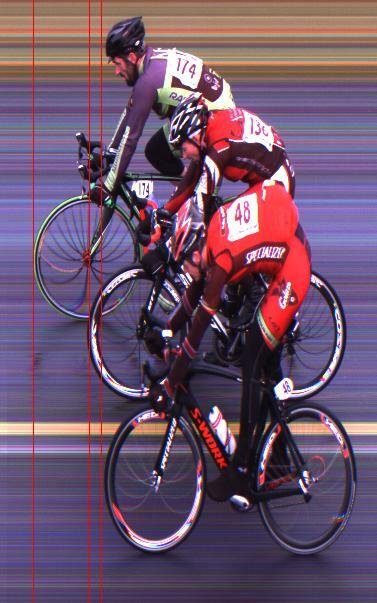 The finish was rather hazardous, riders moving up to the left of the yellow line, head and shoulder butting and wheels touching, all at 30mph. Coming around the last corner I was a bit too far back, but managed to squeeze in at 8th, closing in on the riders ahead, but still upright and alive. Sunday morning came too early, lost an hour sleep to daylight saving. I had to make the first ferry out of Kingston to Sequim, since we and Carter were putting on the race. After being in the follow car all morning, which is a pretty posh job actually, especially if the weather is bad, I got ready to race the afternoon race. It was actually quite a bit colder then the day before, but once again there was no rain. Quite a big field again, plenty strong teams. The pace was very fast the first two laps as usual, with attacks going continuously. Every team was trying to get their riders in the break, before they let it go. Half way through lap three a four man break went up the road. Attacks kept coming and bride attempts were still being made though, as several teams missed out, and others wanted to improve their odds. 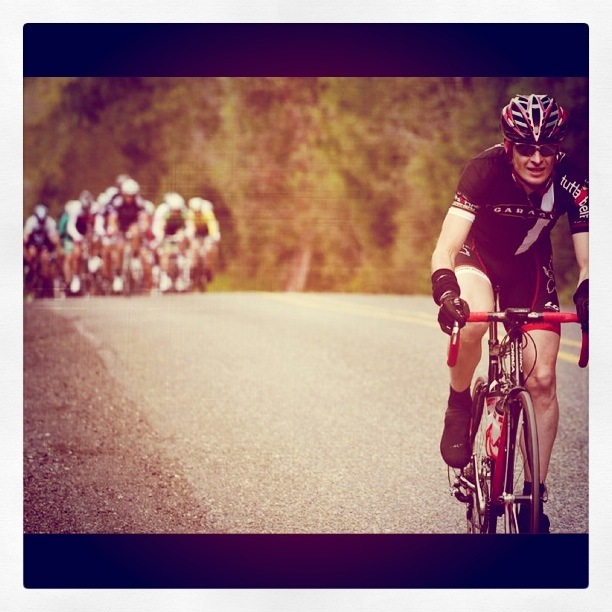 Jason was away in the four man break; Kyle and I were flying along in the 12 man chase group. Once we got together, the gap to the pack opened up, and a few laps later we had over a 3minuite lead. With one lap to go the attacks started again, most people wanted to break things up, hopefully get rid of a few of the more tired riders, and make the final surge to the line a bit smaller affair. This is when racing gets hard and fun. This is the part I enjoy the most, this is when you have to dig deep, and are motivated to do so. Over the next few miles our group split and came back together more times then I can remember. Finally, after Lang countered a move by me and his teammate Patrick, and before you know it he had just a big enough gap that it would take a very strong or combined effort to get up to. A few times he was close, and I thought we would close it down, but there were too many people sitting on, and the rest of us had no desire bringing them up for an easy sprint. Last year I was in the same position as Lang, but got caught within the last 200m, so I knew how had it was to stay out there, and how fast the gap can close down. Lang however is probably stronger than me, and he had a bigger gap going around that last corner. Lang did a great effort and hung on for the win. I started my sprint too soon, and died a horrible death the last few seconds and got passed by two riders right before the line for 6th. 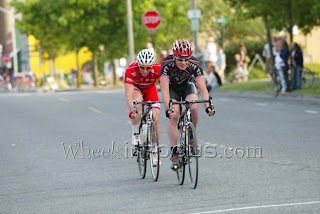 After this race I was ready for a break, these two races wore me down and I needed to rest. Maybe it was the weekend, maybe it was the flu going around the office at work, or maybe it was a combination, but by Wednesday afternoon I was sick, real sick. Fever, headache, soar throat and body aches. I was out for two days. By Saturday I was feeling a bit better, but decided to stay home and rest one more, as I wasn’t over it yet (and by now Kele was also feeling it). Sunday we both decided to show up and race Market Street, maybe we weren’t completely well, but we were rested. It was cold, but once again it was dry. The race started fast again, lots of strong teams this year, and nobody wants to settle for the right break goes. I felt ok for the first lap and a half until I ran out of energy and my legs had no jump at all. I decided to be a bit more careful for a while, after having the flu for a few days; it really wasn’t a surprise that my energy level would drop of dramatically. Right then though, Flavio got of solo, and was soon joined by Hone. Not until a lap later, when another group bridged did the pack let it go. The break now had 7 riders, Clayville later bridged up solo, after a series of attacks and a great setup by Lang. They were now eight up there, and the gap went up to a few minuets. Ongers once again proved too strong and jumped early to take the win with Hone right behind. Flavio ended up 5th. The pack sprinted for 9th , which somehow I took, more luck and timing then anything. I jumped right when the front rider swung of and the front hesitated, giving me just enough of gap to hold until the line. First race of the season always brings a slight panic:, am I ready, is the bike ready.. I spent up until 10pm Friday night getting Kele's bike ready, and than managed to work some magic on my 5year old race bike, as my new tarmac isn't in for another 2weeks or so.. Even though I didn't manage to ride in the sun all week, and missed a few training days to jet lag, sickness and working on bike.. I was looking forward to the first race. Garage has a strong team this year, even though we lost Nathan to the South East ( his climbing and stage racing will be missed). 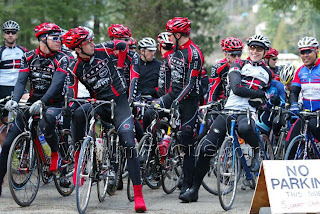 On Saturday no less the nine riders showed up, all relatively fit and ready. Even with two of our strongest missing, Robert and Flavio, I felt confident we could match any team out there. The Race started right away, with the first break going within the first mile. Once it came back, the next break went right away, Chris got up there, I was about to join him, when I quickly glanced back, the pack was right on me, I decided to sit up and not risk bringing the whole thing back.. and that was it, by the start/finish they had 2 minuets. The rest of the race was a mix of attacking, chasing and rolling along at 14mph... several more groups got of during the following laps. We ended up with two in the top 5 and several more finishing up there. No one could match Shawn Ongers though.... good to see such a nice guy riding so strong and making the rest of us look slow. 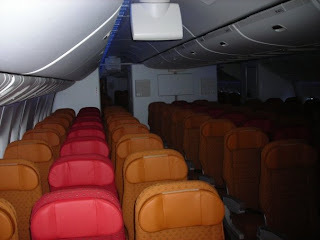 There was only 10 of us on the entire flight, and we got to spend lots of in the cockpit, so that was kind of cool. 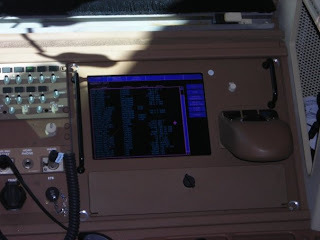 The computer we used to access the airplane speed, altitude, engine RPM, Fuel flow...etc broke down on us...so we had to manually record everything instead of saving it to a disk...this was one cause of the lack of sleep. 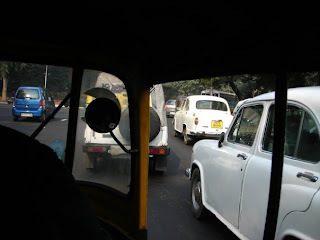 We spend half a day around in New Delhi...mostly looking around, shopping for some Christmas gifts, and really trying to to get run over crossing the street...which was definitely a lot harder then anywhere else I've been.